Located in the exclusive 55+ Gated Golf community of STONECREST, ONLY 3 miles north of THE VILLAGES, FLORIDA on HWY 441/US 27! Adjacent to Shopping, dining with easy access to I-75! You'll be impressive as soon as you pull into the cul-de-sac! 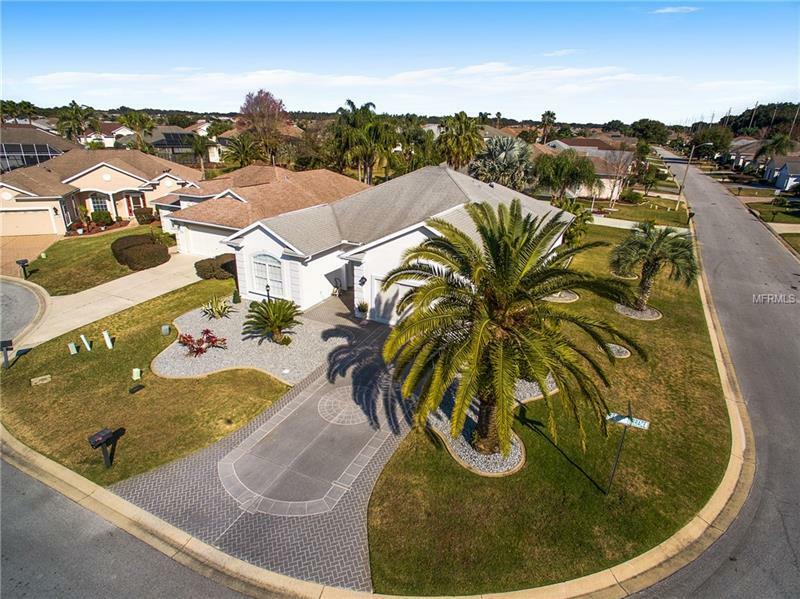 Floridian landscaped yard with decorative drive and walkway. 2 car garage with sliding screen doors. NEW laminate Floors throughout (no carpet), NEW interior paint, NEW Carrier HVAC Oct 2018! 2 bedroom plus Den with French doors, 2 bath. PLANTATION SHUTTERS throughout! Enclosed Lanai under heat and air, not included in square footage, Patio in rear! Moveable Island in Kitchen, NEW Stainless Steel Appliances! All Furniture and golf cart can be purchased separately! This is a MUST see before you're too late! Amenities Additional Fees: Golf is extra and not included in amenities.